Happy New Year 2013 - 2014...... What did Advancedbiker do in 2013 ? Well I thought I might just take some time to review 2013 and before I start I must thank all my clients, friends, subscribers and followers who have made the year a one to remember. 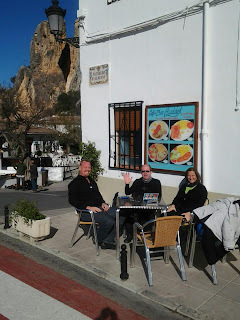 As 2012 drew to a close, I thought it would give me some time to plan and review my Advanced Training, but no...... A couple of emails came in enquiring about training in 2013, one from Spain and one from Holland. 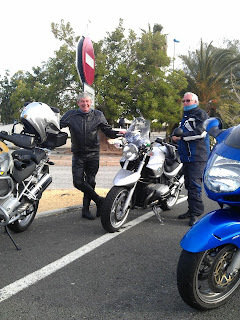 So it was a matter of arranging flights, ferries and motorcycles.... BUT ! A brand new Drift Hd camera from Action Cameras arrived and at first it appeared strange to use. 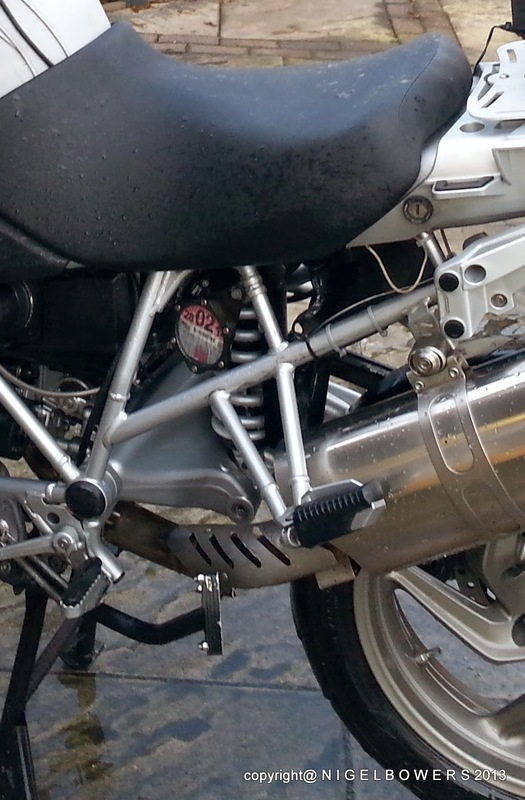 I was used to the old Sony Camcorder, wiring it into the BMW R1200GS electrics and then recording the footage onto cassette tapes. Then process them as DVD's......... I found a way to mount the camera so it was a matter of waiting till the end of January and off to sunny Spain. 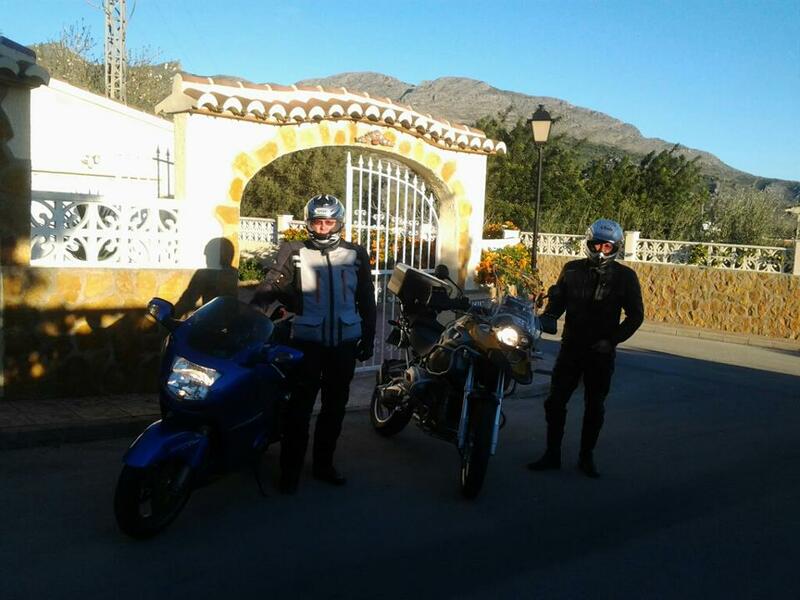 I must say Facebook is a great invention as I managed to make contact with an old work colleague who live in Orba, Spain, within one hours ride from the clients in Spain. Now what about a motorcycle ? 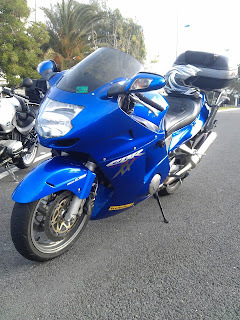 Well I mentioned hiring one, but when he said I could use his Honda Blackbird, I said yes, so the search was on for flights and accommodation. 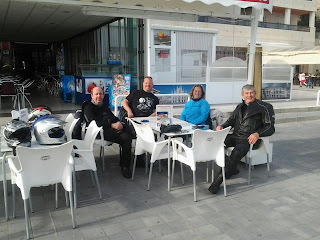 Day One Friday 25th January 2013 - Awoke to clear blue skies, and a warm 20 degrees........ My mate Glyn a fellow BMW R1200GS owner took me on pillion to our meeting point in Benidorm and at just before mid day we all met up. 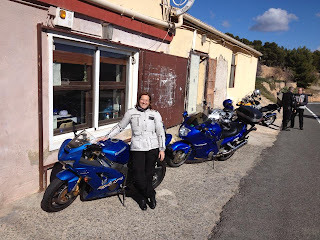 First issue.......Johan had only one other motorcycloe a Suzuki SV 1000 and thought he and his wife Sharon could take turns riding that, whilst I had the Blackbird. Guadalest for our first debrief and change of rider.............. I had to do the English think and wear my neck scarf on my head, to protect it from the afternoon sun. Great news when we got to Johan and Sharon's house, another motorcycle had arrived. 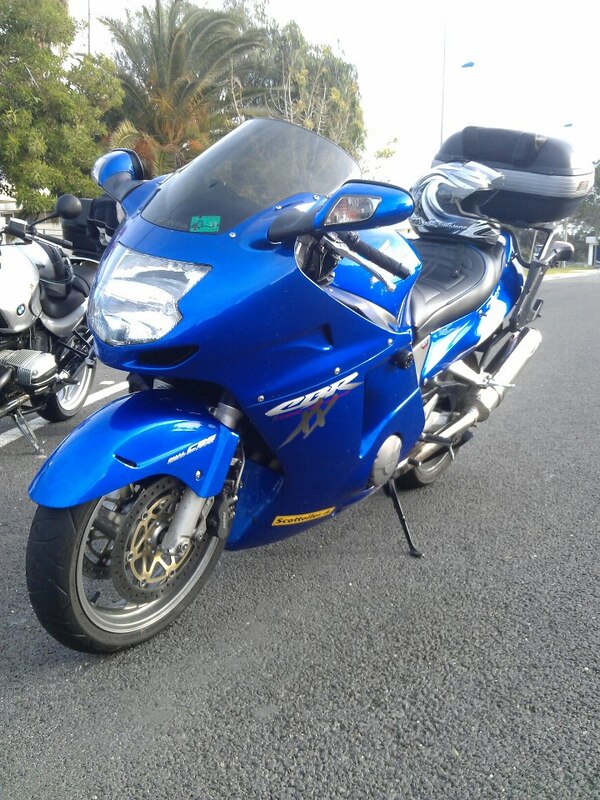 A smart Kawasaki that Sharon was interested in buying. So we all had motorcycles for the day, me on the Blackbird and Johan on his Suzuki. 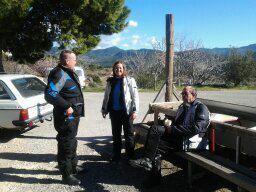 After a great session we ended up for a break at a well visited motorcycle stop at Venta Terassa on the cv 800. Then it was on to lunch, well Tapas near to Alcoy and then a big 'loop' north towards Xativa, Gandia and Pego back to Orba. 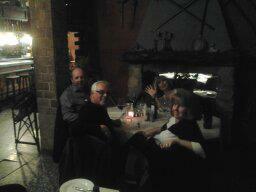 Saturday night was at Restaurant Paraiso, Parcent. This morning another rider is coming along for the experience. Today I wanted to look at Sharon and Johan on simliar roads to the ones we used on day two, so I suggested the same route to dinner and then return back to the coast. In the short time I had been with both riders, I had seen progress in terms of a greater awareness of their riding environment and most of all getting them away from the theoretical side of Advanced Riding - Roadcraft. It is all right reading about it, but putting it into practice in a practical way is another matter. The biggest thing that sticks out when doing this assessing in positioning for bends........ 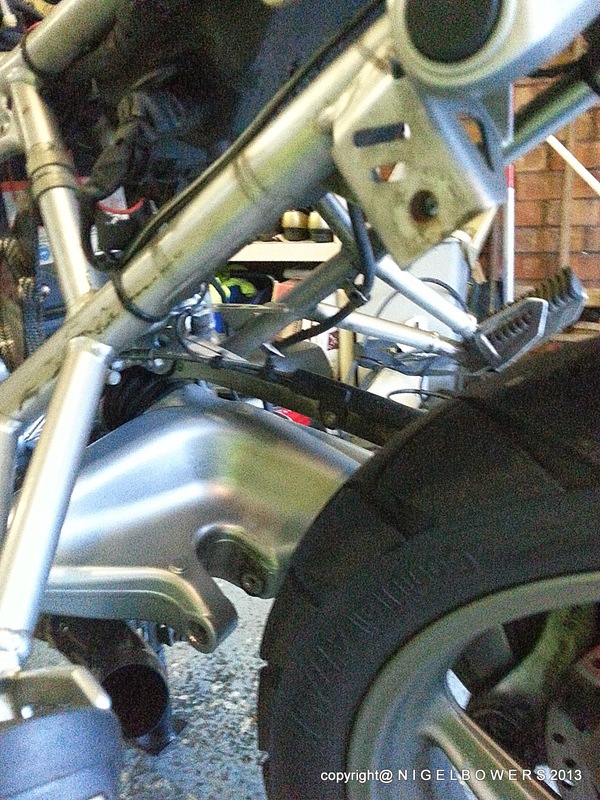 The majority of riders plan quite effectively for one bend, BUT if you have your view WHY ? 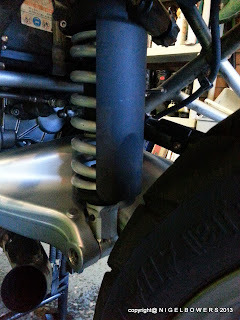 During this course we focused on forward planning, one bend to the next and as Johan said, 'Knitting them together', so in otherwords trying to keep the motorcycle stable as much as possible and that means upright. The roads we went on were smooth, no potholes and although twisty, made the riders more aware of the importance of planning for the next bend, in otherwords formulating the 'Riding Plan'. When this is addedd to the mix and then we add the right speed, and then right gear with the right amount of throttle - BALANCE, WE start to get CONTROL. Forgot to mention enjoyment when it all comes together. I took my Tribe radio to pair upto the riders Scala Bluetooth systems, but the Autocom system I took failed to work, despite having new batteries fitted. What do I think of Spain as a training venue ? I had my reservations as I did not know what to expect as you come to an an area, and when you are told Benidorm, you think British Holiday makers, package tours etc...... Well we never even went into the place (Just saw the sky line) and instead was introduced to the beautiful countryside around from Javea in the north down towards Alicante. 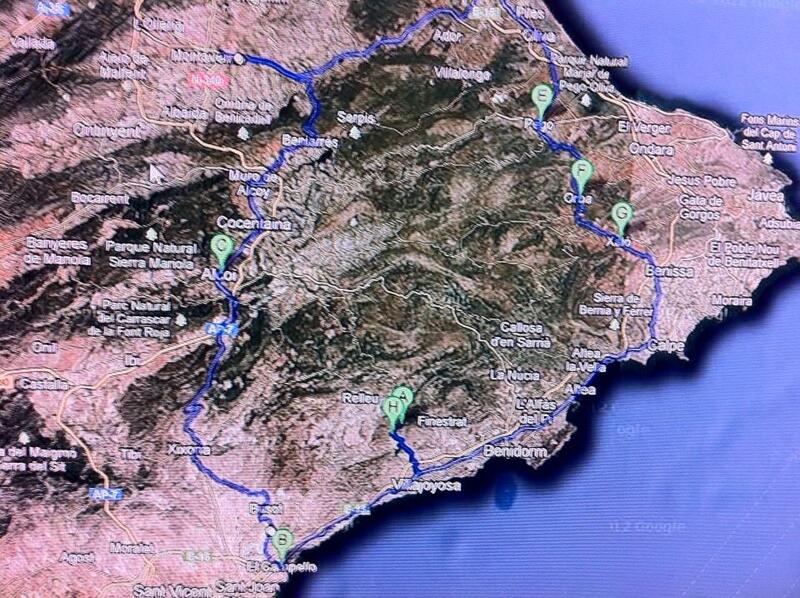 The are some good open type roads further in land, but the roads we chose, although very twisty, worked. Why - because it developed rider awareness, forward planning, control and confidence, without the aspect of speed, As a training area, IT WORKED FOR ME. Arrived back in the United Kingdom to a very cold February and another email from a potential client from Malta ! Several emails were exchanged and arrangements made for a 5 day course at the beginning of April. Where was I going to meet the client...... Cardiff, why not, so I travelled down to the local BMW dealer where he had arranged a hire motorcycle - BMW R1200GS. He was waiting for his new BMW R1200GS LC. We both travelled back to North Staffordshire, where he stayed at Chapel Croft Bed and Breakfast. Despite the cold, we had good dry roads for the course and explored the Peak District and North Wales. At the end of the course I took him back to Cardiff. 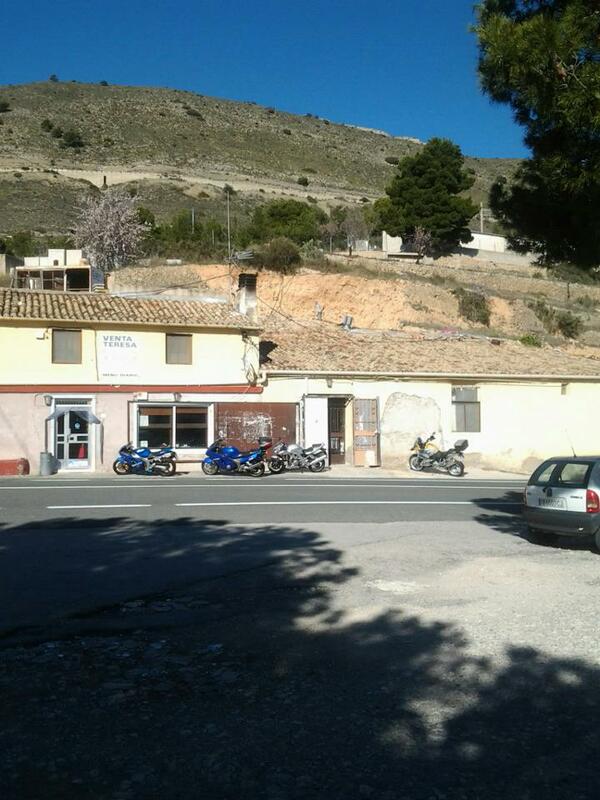 Well the organisation for it started for it way back in the Autumn of 2012, when I had to make sure we had the accommodation available for a group of nine motorcyclists. Managed to get this sorted, so the next task advertise the trip on the web site and also for the first time on Facebook, where I attracted two riders from London. The Normandie Express, all motorcycle secured and the up to the resevered lounge for the reclining seats. Long crossing - 5 hours ish, but a welcome break having just done 240 miles to the ferry port. 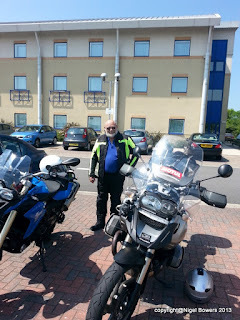 I thought of using the Eurotunnel, and then driving down....Works out about the same time, but you are using more fuel and the wear and tear on the motorcycles. Any way time to get aquainted and admire the sea view..... Well NOT quite - Sea mist all the way across and as we landed in Normandy at 21.30 hrs local time, it was dark and the sea mist had turned to FOG. We only had a sort 30 minute run to the bed and breakfast, so Sat Nav on and off we went with me leading. I was very happy I had the Sat Nav as it gave me an idea of where the road went and on occasions had to follow the centre white line. It was that bad. Arrived at Adrian's and Karen's to be met with a fantastic buffet, before we headed off to bed ready for the next day's riding. Down to business - Not a good day for the weather, bit wet, but we are in Normandy and a few spots of rain was not going to spoil the day. Decided to head into Bayeux for fuel and then head off along the D5 towards le Molay-Littry where we could stop for coffee and a debrief. Alison and Sue with me, with Alison being the first rider of the group. The D5 is a good road to just get you used to riding in France and Alison did well, with only a few minor issues which we discussed later. The biggest thing, which never occurred to me before was the added pressure of being lead rider in a group of experienced riders. The next part of the day was going to test their skills as we headed out on the D999 to Brecey, before turning east and heading along the D911 to Sourdeval. This road has been on Youtube many times and used by me on numerous occasions. It is a good surfaced road with good stretches between villages and hardly any traffic. Once again Alison was the lead motorcycle and when we reached Sourdeval I decided to head North to Vire for a well deserved break in the town square by the old clock tower. We had enough training for the day, so on the way back to Arromanches I took the group to see the gun battery at Longues s.Mer. Thought of the day - It is always great to have a reliable HOST, as I had forgot all about the evening meal. I need not have worried as Karen had got it all sorted. - We had taken advantage of the offer of an evening meal at the bed and breakfast. Thanks Karen. 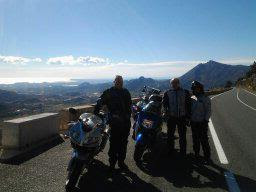 Wednesday 22nd May - this weeks Motorcycle News, ( MCN ) and we are in it, pages 38 and 39. A feature on the trip we did to Normandy in April 2013. I will be getting a clearer version in a couple of days and will post that as well. I managed to get out of Cardiff and stopped on the road out towards the M4 to turn the cameras on, then it was the turn of the client. 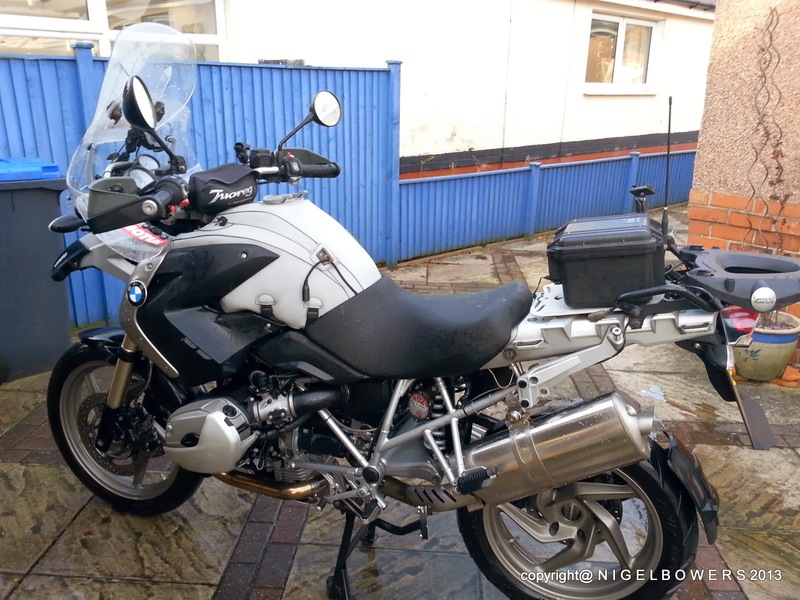 A short ride in front onto the M4 before heading north on the A roads through Pontypool to Abergaveny. 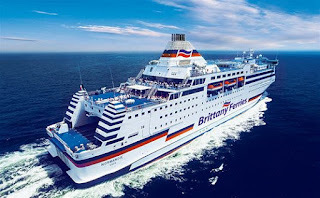 After Wales......End of June brings the trip to Holland....A weekend of Advanced Training....... What a fantastic experience, which started with the overnight ferry from Harwich to Hook of Holland with Stenaline. I met up with the client at the ferry and we managed to get a days riding in. On the second day we combined our interest in World War Two and visited the Airbourne Museum, at Hartenstein. On the last day a leisure day at a local wildlife area to do some photography before heading back for the Sunday night ferry........ Before heading for the ferry visited Steenbergen the final resting place of Guy Gibson (Dambuster). Another gentle cruise back to the United Kingdom, arriving early morning, so headed over to Rivenhall, an old airfield associated with my Uncle Ern - World War Two, he was a rear gunner in a Stirling bomber, 295 Squadron. 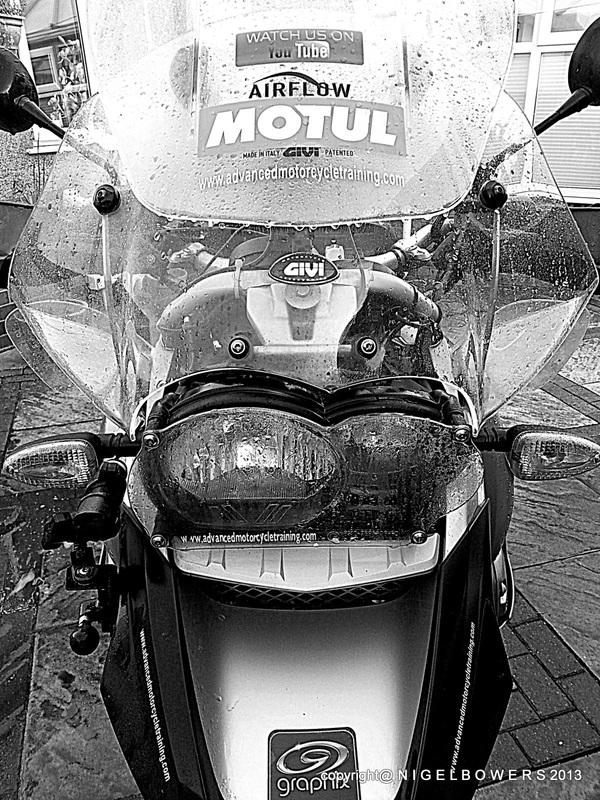 For a number of years now I have been using an onboard video system on my motorcycle to record all the training I do. The set up has relied on bullet cameras and a very reliable Sony Camcorder with AV in. Unfortunately as things progress it is getting harder to get the Sony camcorders and the market is being flooded with these HD cameras which record onto to disc. Well this year 2013 I invested in a Drift HD 1080 Camera and ended up using the same mountings I use for me Bullet cameras. The very reliable 3 M Dual Lock Tape. That seems to be it for now, a good year, met some great people,forged some great friendships and got support from Bikerz, Motul and Graphix. In the UK the post is now against us, but I can send a pdf version of a voucher to anyone who wants to book a courses as a last minute Christmas Present. 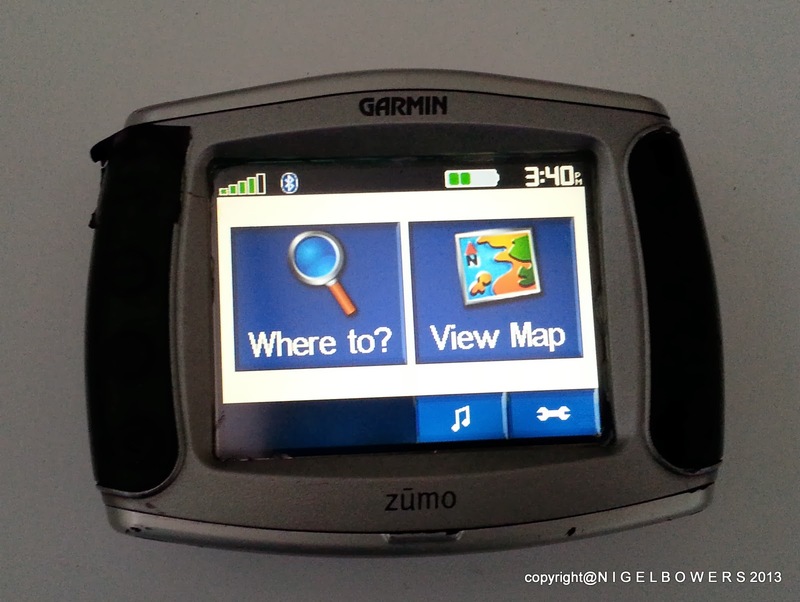 Well it has happened again..... My Garmin Zumo 550 Sat Nav stopped working again. It broke when I was in Normandy in April and through the internet I found out that a common fault was a thing called a Digitizer. In otherwords the screen you touch to make it all happen. This time the sat nav turned on and the screen went white. 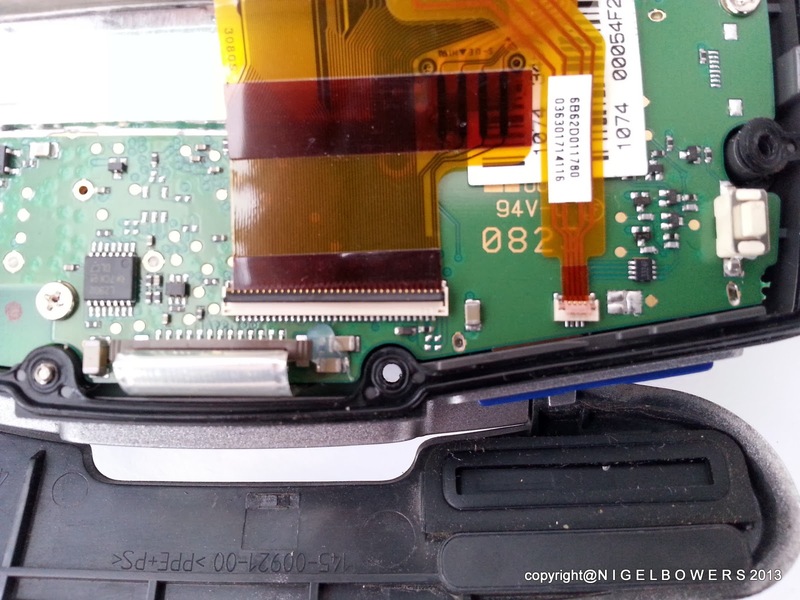 I coupled the sat nav upto the computer and everything was functioning, so I thought the Digitizer had failed. After a quick search on the internet I order a new replacement and fitted it today. 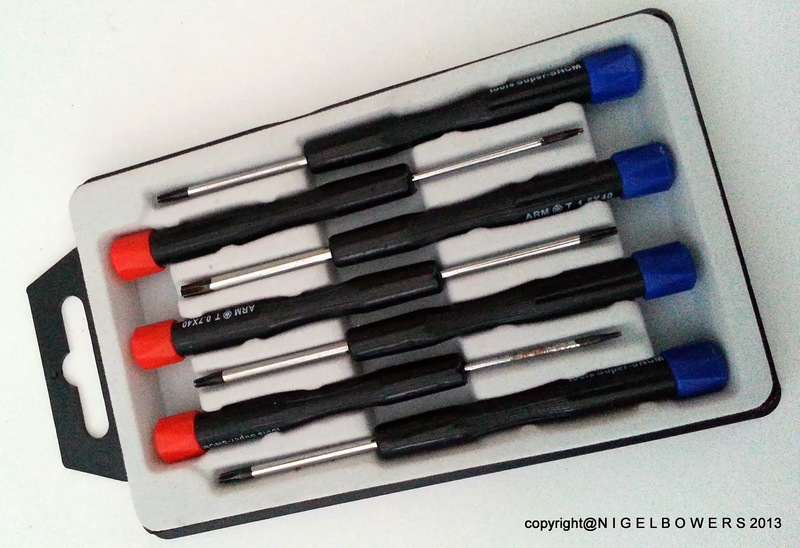 Make sure you have a set of these handy - Electronic Screwdriver Set as you need to remove all the 8 screws from the back of the Sat Nav and also the top cover. 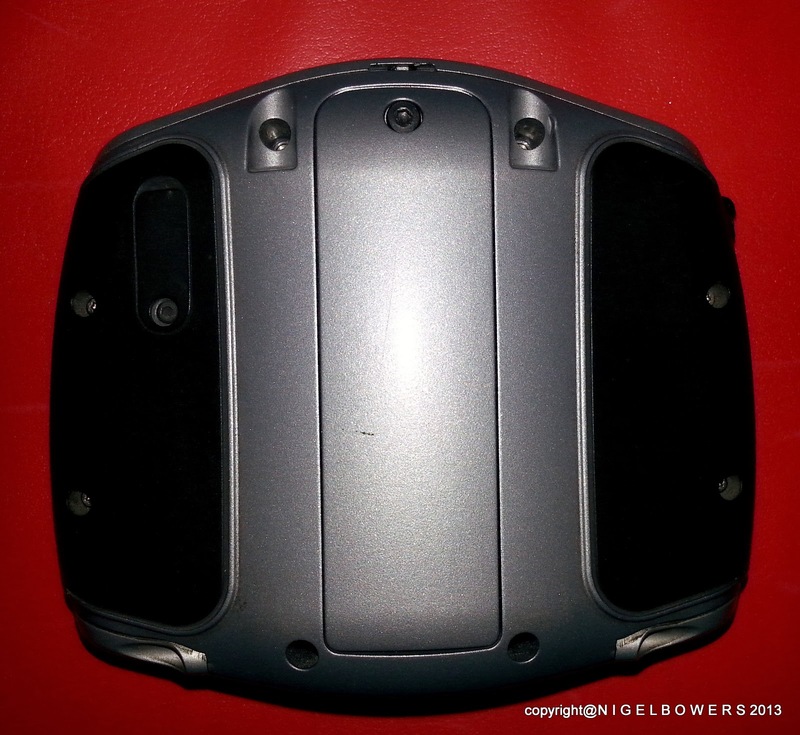 When you ease open the the back cover the front screen is attached with the straps above. They are held in place with a small plastic hinged bars which when pulled back releases both connections. Looking at the unit from this angle, pull towards you. One is black for the long connection the other browish. 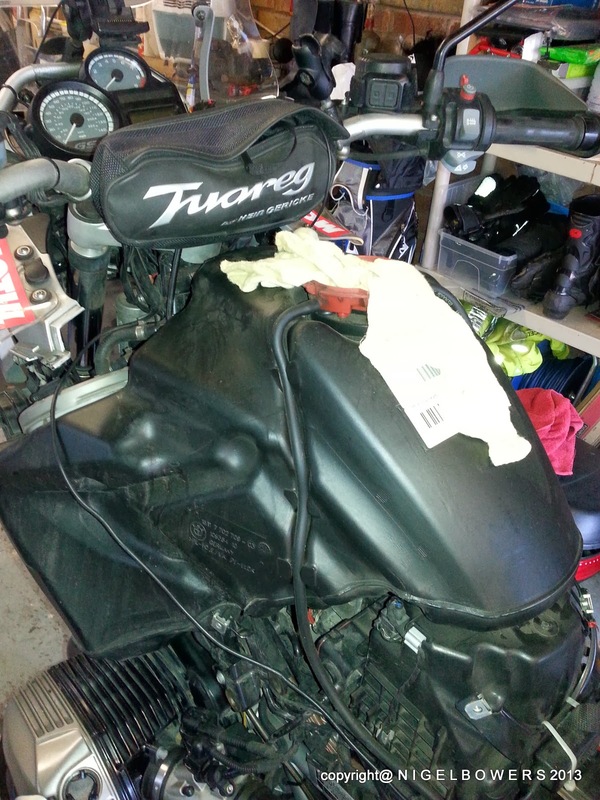 Before I went any further I checked the new digitizer and switched the sat nav on. It worked, so on with the installation. 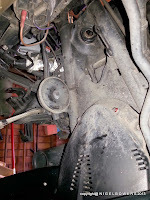 Remove 4 four phillips scews from the plastic housing and remember not to loose the rubber seal. 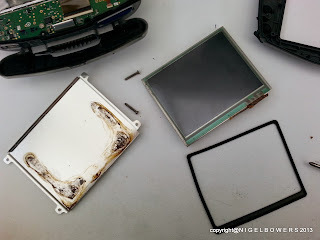 If the digitizer had not been replaced before, the original is glued in and you will need to ease the screen away from the metal carrier. When I did the first replacement I cracked the screen. It happens..... Doesn't matter as you are replacing it. 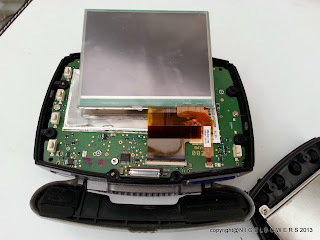 The replacement digitizer is slightly smaller, so I applied a bit of clear silicon to hold it centrally on the metal carrier and also put a small amount on the rubber seal. 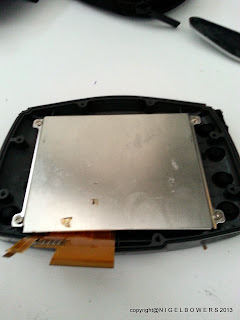 Screw the carrier and new digitizer back onto the plastic body and then carefully refit the the plastic electrical connections - Click the retaining bars back in place. 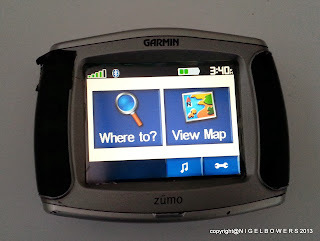 Put the two parts of the Zumo 550 and switch on........ Works !!!!!! For years I have been using Pinnacle Studio for my editing, but like everything these days, when technology moves on, do I ! So I got in touch with a fellow Facebooker, Russ Stevenson who suggested Cyberlink Power Director. On November 6th 2013, Google changed its YouTube property to only allow comments from Google Plus accounts, thus de-anonymizing commenters, as the principal element of its site-wide comments overhaul. You can still post your comments on my Youtube channel, but as far as I see it, you must have a Google+ account......I think ! Why do I use a radio ? Well I started using radios back in the 1980's as a means of communicating between myself as an Instructor to all my clients who I took out training. However over the years a number of organisations have had certain reservations about radio use, I think basically because of the BLAME culture that we now live in. When you use radios any conversation can be taken as an instruction and therefore if acted on incorrectly could leave you in a situation whereby the person who receives that message, could be placed in danger. I think what ever slant is put on it you must ALWAYS act in a professional manner and that goes for the person you have out with you. Then the other way of using radio is for the coaching - mentoring the rider you are with. 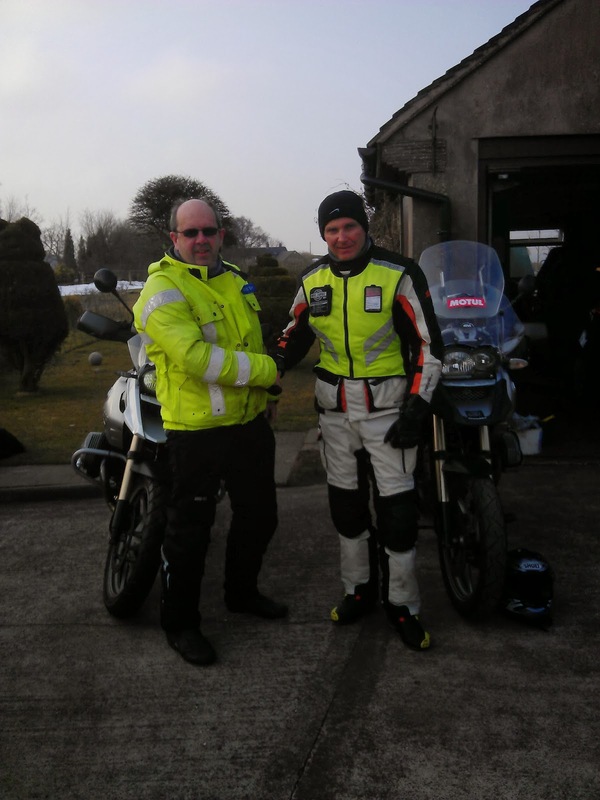 You have got to strike a happy balance between offering the rider sufficient information for them to make their own riding decisions based on the information supplied. I have been with Observers -Instructors who never stop talking and in my view this cannot be a good thing as it eventually turns the other rider into what I call a ROBOTIC rider. Not thinking for themselves. I hope that when you watch the following video you hear that I try not to give any instructions actions for the rider to take. Using words like - Consider......Pick your head up....... Look ahead......Watch out......Safety...... Use BUZZ words and keep them short, and check with the rider first taht they are happy and understand certain phrases. This is looking a rider at the commencement of a session with the added bonus of him being able to communicate back to me. He had never done anything like this before, but he does cope very well. The use of radios for me is a great 'tool' - Don't be afraid to use them. 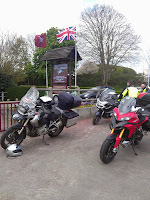 Earlier this week I was invited to do a talk, well 'natter' to WHAM, the Worcester and Hereford Advanced Motorcycle Group at the monthly meet at Bromyard. I took along some bits and bobs, radios, ear pieces, video equipment and the night went very well. I have been using radios for training/mentoring what ever you want to call it since the 1980's and a few ups and downs settled with the system I have a present. PMR 446 Radio - Personnel Mobile Radio 446 is a handportable short range voice only communication system, which provides a basic but effective radio service for both business and non business users. It is ideal for providing communication over short distances; such as within office buildings, factories and building sites. Only speech transmissions can be made. It is licence exempt and works on 8 dedicated frequencies. However on many radios these channels have upto 38 sub channels. Power output 0.5 watt. Private Business Radio - The PBR UK General Licence allows customers to use hand-portable or mobile radio equipment anywhere within the UK without the need to inform RA. The licence for this service has been designed to allow customers access to one or more of fifteen frequencies spread across four PMR bands. As this is a "go-anywhere" type of service, the use of base stations is not permitted unless prior authorisation has been obtained from RA. There is no limitation on the number of sites where a licensee can use radios covered by the UK General licence, or on the duration of use at any location. The maximum permitted effective radiated power of equipment used under this licence is 5 watts. This costs £60.00 for three years. BLUETOOTH - Many devices available from manufacturers like Interride, Scala etc. So you can see you have a choice, but I always kept coming back to PMR 446 and Autocom. 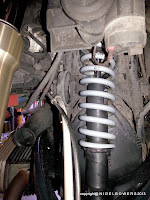 I started with the Autocom Pro 7 Sport which was hard wired to my motorcycle according to the manufacturers instructions, noting to connect the live feed to a switchable source, ie rear light and earth back to the motorcycle battery. In this way it minimised any interference. 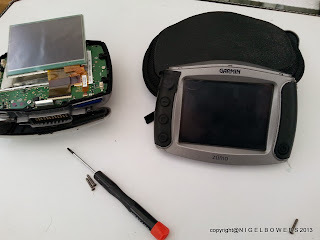 The unit served me very well for a number of years until Autocom updated the systems and brought out the 7 pin leads and easier ways to connect you sat nav and mobile phone to the units. AT THIS POINT can I say that there are still a great number of Autocom units available on E Bay and they still provide an excellent communication system. All you need to do is perhaps change the foam on the mics,etc, which can still be bought. 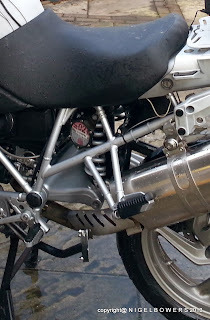 Next the way of getting communication between the motorcycles, well I went for ICOM PMR 446 and that was back in 1990 and they still work as good as new today. These particular radios can be powered directly from the Autocom units, so no need to keep charging batteries. HOWEVER any Autocom units manufactured after 2009 do not have this facility. The most popular radios appear to be the Kenwood Protalk range, the 3101, 3201 3301. 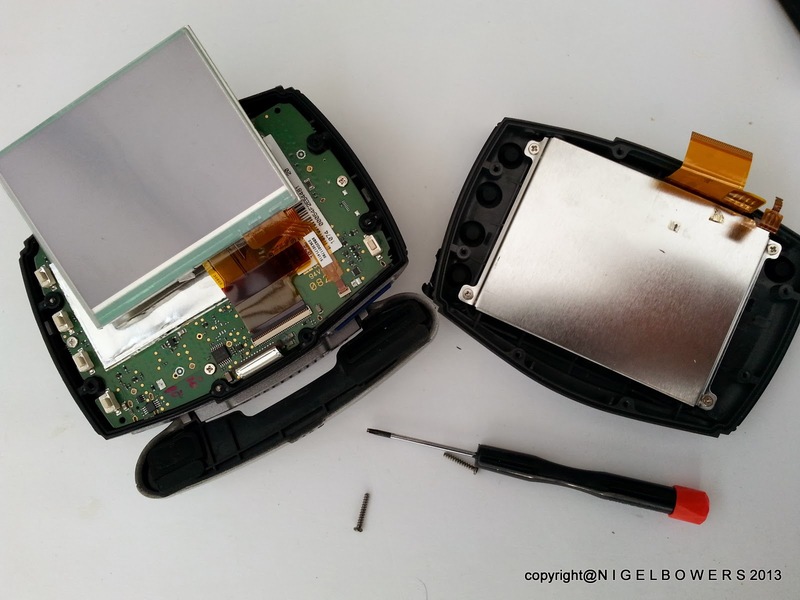 The price of these radios in the region of £150.00 - But check E Bay you may be surprised. I have just fitted an Autocom to a client Honda and used a MITEX radio, cost £75.00 and half the size of the Icom and Kenwood. You can try the D shaped ear hangers, in ear ear phones or I have found the ones sold a MP3 speakers work very well. For just over £5.00 from Ebay you get two slim speakers which can easily be fitted in minutes to the helmet. If the helmet is too tight, slip them in after wards. The twin speakers from E Bay - note the extra adapter fitted. 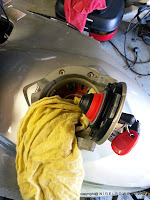 Converts mono from radio into stereo for the speakers and in effect fills the helmet with sound. So a typical set up (above) for me is a radio bag, Wintec radio, E Bay speakers. 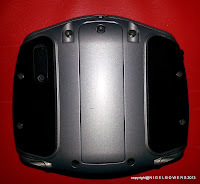 The unit is contained in a small Autocom Tank Bag, which is magnetic and I give all my clients to option to try the system. To date I have not had any rider who has not tried it. 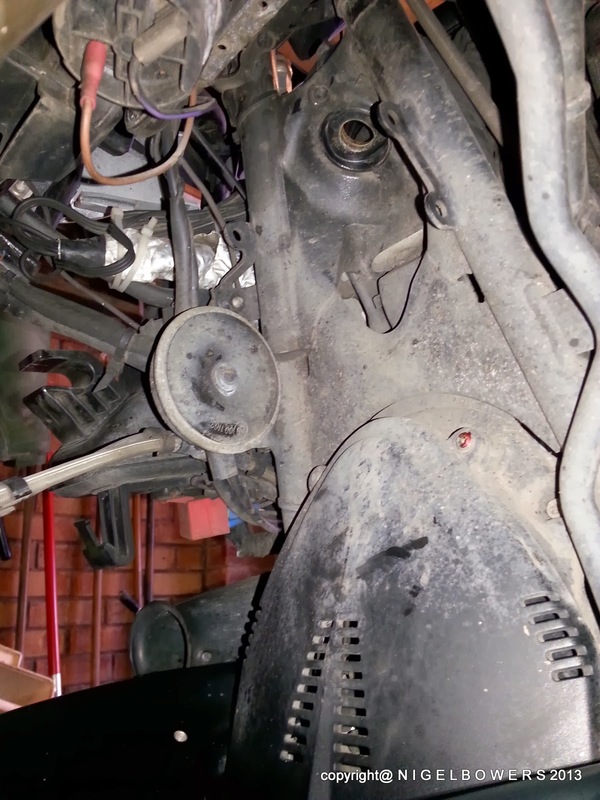 Back to the AUTOCOM - How do you know is it working, well you can hear your speech as background in your helmet speakers. I Hope this has all been useful. I am only a Blog, or email away if you need any more help.